I'm not completely opposed to social media. It can be very helpful for communication, sharing photos, and delivering anything from important messages to cat memes. I'm 13 — that's legal age limit for getting a Facebook account — but I don't have any profiles on Facebook, Twitter, or Instagram. Many people don't set their privacy settings on Facebook — and on some social media programs, there aren't any. It unnerves me that anyone who wants to can view your profile, your photos, your comments. I think that this is one of the main reasons why I don't think I'm going to start any social media accounts anytime soon. Just the thought of an untold number of people seeing my information is enough. All those selfies on Instagram are the type of thing you want people to see once, then forget about. But once they're online, they can always be recovered or viewed by random strangers, coworkers, and even potential employers. These can be used against you or even prevent you from getting a job. It's hard for many social media users to avoid posting goofy photos of themselves making weird facial expressions (or in a chipmunk suit, or bungee jumping — you get the picture). People often forget that these can be viewed by anyone, anywhere. Think: do you really want the CEO of a company you apply to years from now to see your #uglyselfie? Imagine how many minutes a day the average person spends on Facebook, Tumblr or the like. According to Business Insider, the public spends 114 billion minutes a month in the U.S. alone on Facebook, 8 billion minutes a month on Instagram, and 5.3 billion on Twitter. Now, imagine what people could be doing with that time. This world is diverse for a reason; there are always new people to meet and things to see. You won't get very far if you spend your free time liking generic users' posts on Instagram. Many people have been cyberbullied because of social media. It's heartbreaking. It's very easy to accidentally — or on purpose — hurt someone's feelings when you can't see them face-to-face. Communicating through social media is also hard, as you can't tell someone's facial expression or tone through the words you type. I feel that social media is not quite worth the risk and that is why I stay off of it. In the end, social media continues to rise in popularity along with the amount of time the public spends using it. 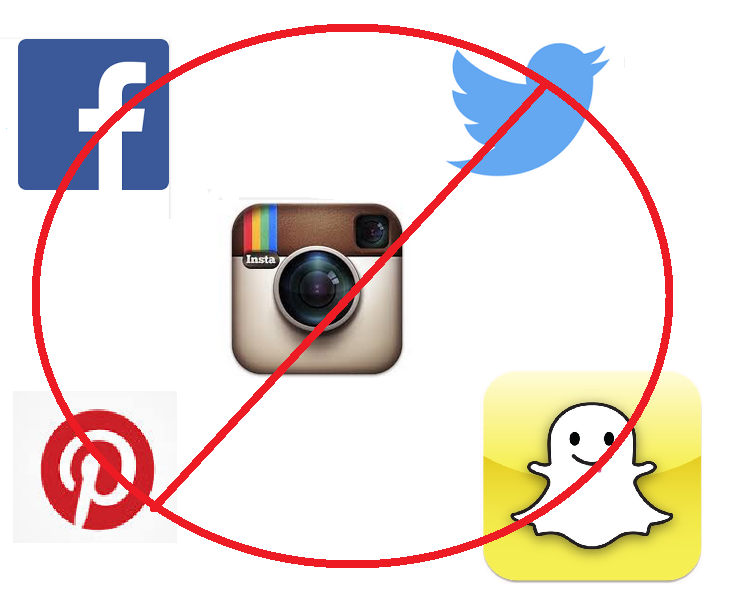 If you are a parent, I don't expect you to immediately ban your child from their Instagramming, nor do I think that teens should be obliged to delete their profiles. You should contemplate the issues of social media and decide if it is something you really want to keep doing, despite the aforementioned reasons. Eventually, I may get an account or two, but for now, the risks are definitely outweighing the benefits to me. Born and raised in Seattle, Isobel Williamson a high school junior who enjoys art, theater, travel, tennis and writing. She attends Lakeside High School and lives with her parents and little brother.